Sarah Meyohas, ‘Cloud of Petals,’ 2017. Courtesy of the artist. OF ALL FORMS OF design, fashion is the most tactile. We wear it next to our skin. 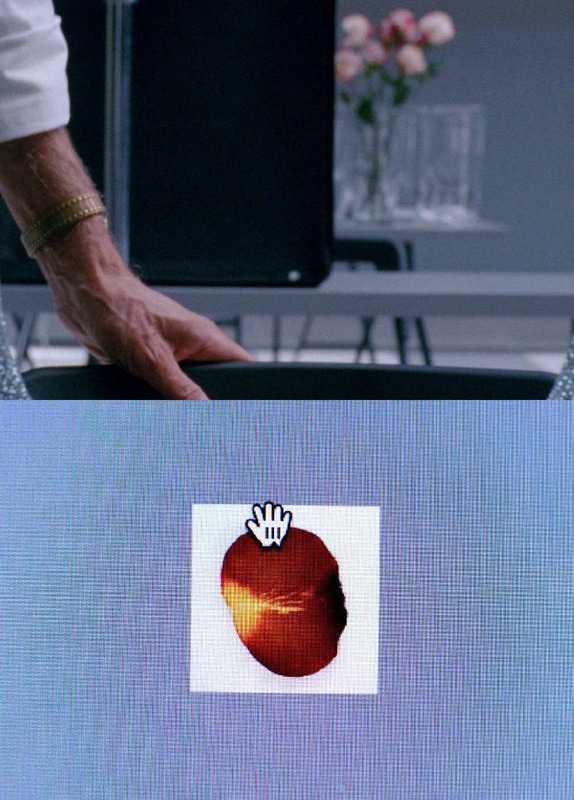 This makes digital representation a paradox. The pixels which model a garment online are not just distortions, as would be the case for most visual culture. They efface what makes clothing clothing: exchanging sweat for warmth, experience for stains, blisters for coolness. They also grant new qualities. Jpg files can be cut up and restitched without sewing machines. Videos travel more quickly than container ships. It’s an opportunity and challenge for any emerging label, but particularly for those in China, where seventy-two percent of shoppers prefer to purchase clothes online, more than in any other country.1 The country’s platforms for commerce and self-branding are, moreover, distinct and self-contained, even as global fashion grows increasingly borderless. This September, Labelhood, the Shanghai-based design incubator, teamed up with Vestoj to host a roundtable on digital authenticity with three emerging labels, each of which carves a different niche within the Chinese fashion landscape. The below is an edited transcript of the discussion. We are publishing it in conjunction with our latest print issue, On Authenticity, out December 20. Alice Hines: I want to ask a very open-ended question. Do you think authenticity is a relevant concept for designers today? Is it something your labels are working towards? Mao Usami: I think [authenticity] is fading, or merging, or collapsing. Because high-street brands started to get the capacity to copy instantly what’s happening at Paris Fashion Week, while high-end brands still take three months for production. And now Gucci and Vetements are starting to borrow from high-street fashions. It’s a never-ending game, like cats chasing each other. For an emerging label, it makes it difficult to define your brand: is it high end, low end, mainstream, subculture? Everything is merged. Yushan Li: Our brand Pronounce is based on rock wear. We reuse a lot of classic elements, borrowing from historical visuals. So it’s a similar discussion. If we take this element and incorporate it in our new collection, how do we make it authentic? There is a really blurry line between referencing classics and copying. Vetements, for instance, sometimes does one hundred percent the same as vintage, and sells it ten times more expensive. I don’t think that’s a good way. There are other smart ways, or humorous ways, to reference things but still be authentic. Yirantian Guo: I think a lot about how there isn’t original clothing. A turtleneck already exists. So what a designer does is represent it using original details, or a seasonal concept, adapting the element to make it her own. That’s the originality. For example, you use buttons and colours and fabrics which fit your brand, and make the item suitable for your target group. Alve Lagercrantz: I think [the Chinese e-commerce platform] Taobao has a lot to say about the future of authenticity. If you search ‘Armani jacket,’ you get one million versions of the same thing, with slight adjustments: golden buttons or silver buttons, big sleeves or short sleeves – all these modifications. And there’s a little bit of creativity put into every version of it. There is something strangely appealing about it. Alice: The funny thing about that example is that there is an original, authentic Armani jacket. Alve: Sure, but you don’t know which version is best. It’s maybe not the original. And that original Armani jacket, that also came from something, you know? I think about our place as designers within an ocean of images and garments, a kind of melting pot. Originality is about figuring out how to use those components and play with them. Sarah Meyohas, ‘Cloud of Petals,’ 2017. Yushan: We personally don’t find any difficulties. Our building has a modem which allows us to access foreign websites, which we feel is essential, so we don’t feel the wall. It costs about 500 RMB per year. The only difficulty is the speed of the internet. So we have Instagram, and a website, of course; a WeChat official account; and we have Weibo, the Chinese Twitter. We don’t have Facebook. Our main goal is the Chinese market, but we travel everywhere to get inspirations. Mao: I’m from Japan and Alve is from Sweden, and we are beginners on the Chinese market, so we don’t really know how to navigate these platforms yet. We met in London and came here to start our label, Sirloin. We have Instagram accounts, Facebook accounts, which we connect to with a VPN. And a website. We don’t have WeChat yet, or a platform for selling online. Jun Zhou: In China, online stores are easier with KOL, who are key opinion leaders, basically famous people who help sell things. If you open your own account without one of them, it’s very difficult to promote it. Alice: I read an interesting statistic about Internet celebrities in China, which is that they created an economy worth 58 billion RMB in 2016, more than the country’s cinema box office. That’s a huge amount. Is that something emerging labels like yours can — or want to — get a piece of? Yirantian: I think in China it’s really complex. There are many different kinds of KOL. We sometimes call them superstars, or there’s also a word called ‘Wang Hong.’ Some have really good taste, others are really rich, and some are Wannabes, just pretending they are KOL. What happened to my brand Yirantian was that a lot of Wang Hong started wearing our jewellery, all of the sudden. We don’t know why it started, and it wasn’t clothes, just jewellery. At the beginning, I didn’t even know they were Wang Hong. My friends would tell me, ‘Do you know they are really famous on Weibo?’ And they’re telling their followers how to do styling and makeup and all that. A challenge on Taobao is that some things are real, some things are fake. For our online platform, we only sell jewellery and T-shirts. And at the boutiques we collaborate with, they will sell some of our garments but not depth. So with the Wang Hong, it increased our sales and brand awareness, but at the same time, it also created a problem with fakes. Because if one Wang Hong buys your product, the followers will copy her. Like on Taobao, they would write ‘Korean designer brand,’ and we’d see our images, but it’s not our product. And the price is much lower, and it sells a lot. In the beginning, I was really sad. Maybe I’m fragile. These things aren’t good quality and they impact how people see our brand. You don’t have a channel to protect your own things. But I can also take it as an accomplishment, that the product I make is very suitable to the market. Alice: What do the rest of you think about this phenomenon? Yushan: I think it’s Chinese following American culture. Also, one interesting thing I just thought of is that, in earlier times, people were probably still copying in this way. They’d take your products but you’d never hear about it. Now that we’re in an age of full sharing and very fast communication, people send you a screenshot or tag you. So you see the copies, and you think that it’s happening more, but actually probably it happened before. It’s just the rate of communication which changed. We’ve also found people using our photography. Not in the sense of copying our designs, but using our image as their profile picture, for instance, maybe without credit. We take it as an honour. We’re happy to see that, although we would prefer to be credited. I think that’s the character of sharing and community, in our social media generation. Alice: I have a quote that I thought would be interesting to get your opinions on, by the French philosopher, Jean Baudrillard. He wrote, ‘We live in a world where there is more and more information and less and less meaning.’ This was in 1981, before digital media. Do you find it harder to create something meaningful, in a world where everyone is constantly being exposed to so many different images? Yushan: I think everything has its meaning. Meaning has different layers and levels. It might be good, bad, influential, pointless, but that doesn’t mean it doesn’t have meaning. Alve: When Alber Elbaz quit [Lanvin], he said something about, ‘When I started my job I was a couturier. Then I became creative director. And now we’re image-makers.’ We showed our first collection season last season, and soon realised we are pretty old school. If we were more clever, we might have put more of our budget on images. It’s definitely true that classical designing is becoming less important, and new brands focus on creating images. At the same time, especially for young brands, only doing clever marketing strategy is not really enough. Because to be visible in this ocean of images, you also need to be really personal. Jun: In my opinion, I think images, the story, is more important than the product today. Everyone can design a good product, but not a good image. If the brand has a good image, if its meaning travels, that’s why I want to buy the products. It’s what distinguishes it. Louis Vuitton has a good shirt. Dolce & Gabbana does too. So why do you buy one and not the other? Yirantian: I think more people have the ability to make good designs today – I mean designs that look good on the surface. But maybe they are copies. If you want to do a really good, unique brand, not that many people have the ability. Alice: Is image-making a euphemism for marketing here? Yushan: No, because it can be about self-expression too. For example, on our social media, we post random things, for atmosphere. Fashion can sometimes be too purpose-driven, especially in China, and we are kind of against that. I think it’s typical of Chinese people’s business minds, to make things always about goals and outcomes. Sometimes we really hate that, because it can kill the creativity or possibilities of inspiring stuff. Alice: Is one necessarily better than the other, though? I often see ads for fashion brands in European fashion magazines that try to look like fine art or photography, but they always manage to sneak the bag in, hiding in the corner. It’s almost like they’re ashamed. Isn’t it better to be straightforward? Alve: We’re doing a project now on ‘Tuhao,’ which is sort of like Chinese Nouveau Riche. It’s a culture of using objects as symbols, of showing off with products. I agree that in Europe, it’s a little bit ugly to put a bag front and centre on Instagram. Labels try to hide it a bit. While in China, you can just get to it. You don’t necessarily need a story – it’s a nice logo, a nice shape. Online shops are much more product driven than [physical] shops, in my opinion. I think there are a lot of brands that can survive with just good, interesting, great products, completely without branding. Because when you shop on an online shop, you have millions of products and you pick the one that is the nicest. You don’t care about image. You just buy it, a nice T-shirt. Yushan: On the other hand, there are also digital tricks. You can present two T-shirts, one is really good, one is really bad, but perhaps they look the same online. You don’t feel it, you don’t touch it, you don’t wear it, so you don’t know. It’s kind of a… digital black hole. Alice: Can we talk about cultural appropriation? I think this is very much connected to digital media and meme culture, and in America, people are now hyper-aware of this phenomenon. How does that conversation play out in China? Yushan: One example is that hip-hop became really popular this summer in China. I think it’s because there’s a gap, a lag, since the internet platforms here are different, between what’s going on inside China and the outside world. So lots of designers begin doing hip-hop, but they don’t always compliment it. They’re just using it, in a really bad, old, boring way. It’s a fake hip-hop style. It’s meme culture, but a rubbish way of doing it. In general though, I think there shouldn’t be a limitation on using other cultures. All cultures are shared. But it depends on the sensitivity of the designer, to do it in a good or bad way. Mao: Whether something is perceived as appropriation or not is really context based. I recently read two articles, for instance, about the appropriation of Japanese culture in America. One was written by a Western writer, and they were focusing on a shoot American Vogue did in Tokyo, where the magazine cast a white model to wear a kimono. 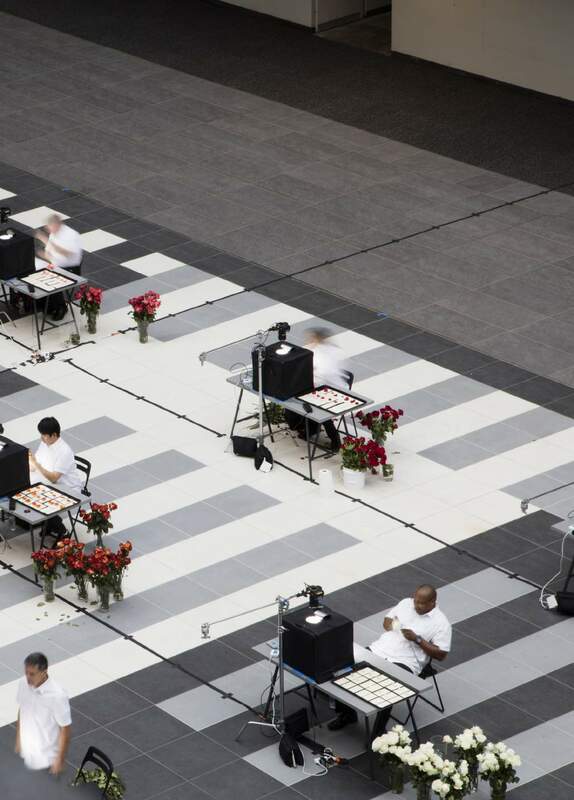 There was a big argument happening in America among the whites, but in Japanese news, everyone was saying, ‘Why not?’ These are beautiful pictures, it’s not disturbing anything about Japanese culture. The second article was heavily discussed in Japan but not not America. The Washington Post posted an article about cherry blossom season in New York, and there was a picture of an Asian woman wearing a traditional costume under a tree, and article explains it’s a Japanese lady in America, who is wearing a kimono and enjoying her culture in a far-away place. But for Japanese eyes, she was obviously Korean, and wearing a Korean uniform, not a Japanese one. It was a huge argument in Japan, that never crossed over to America at all. That was quite funny for me. Alice: So those conversations totally missed each other, even though the subject is cultural exchange. I’m curious on a related note if you all feel pressure to represent your own culture, or nation, through your designs? Yirantian: I think for me, it’s not important. Many Chinese designers today have studied abroad and know a lot about Western culture. It’s becoming less important where you are born and where you are from. Instead it’s about what you do and what you present. Yushan: I kind of hate the concept of representing your country, actually. The reason we picked our name, ‘Pronounce,’ is because you don’t know where it’s from, or what it represents. You don’t know what we’re about until you see our clothes. Alve: We are in a funny position with this topic. Neither of us are from China, but for Sirloin’s first collection, we were inspired by elements of Chinese life that we’ve seen around us since we moved. And quite a lot of people picked up on it, and we’ve become sort of strange ambassadors for China, and Chinese culture, although it was not really a conscious decision by us. We are, in a way, tourists. Alice: It’s interesting to me that none of you fully embrace the idea of representing Chinese design, although Labelhood is an incubator for Chinese designers, and in that way, even this roundtable is a bit of a nationalistic project. Do you see the irony here? Yushan: I think eventually you end up representing your country whether you like it or not. The more successful you get, the less you are able to avoid it. Alice Hines is Vestoj’s online editor and a writer in New York. Sarah Meyohas is a French-American artist. 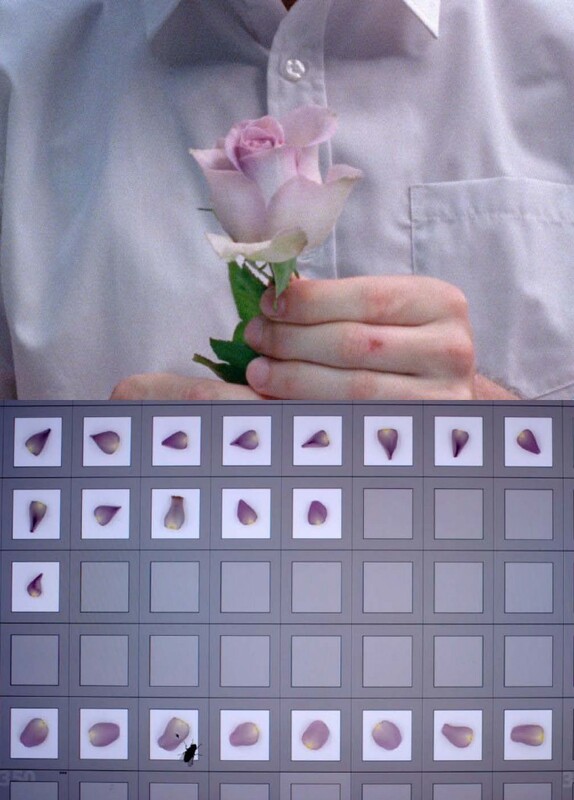 The images are taken from her film Cloud of Petals, documenting a performance in which 10,000 roses were hand-plucked and digitized in the atrium of Bell Labs, the New Jersey corporate site where digital information networks were invented. Thanks to Tasha Liu and Labelhood for facilitating this event. 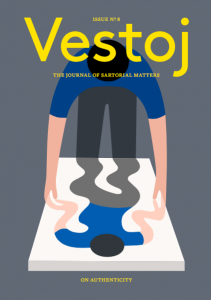 Buy Vestoj: On Authenticity here. Fog is a visual spectacle brought about by natural and man-made forces alike, bridging the gap between dream and reality. Appearing through incense in religious rituals, from Ancient Egyptian culture to Judaism and Christianity, there are inherent healing and transformative qualities in the vision of fog, offering a cleansing space through its rejuvenating properties. A four-part curated series between Vestoj and VNIVRS that examines the parallel visual elements that emerge across creative practice and our experience. The much-appropriated Bryanboy gesture – one hand at waist, hip cocked with the other hand is held high, proudly clutching a designer handbag – has become a powerful symbol in the digital era. More broadly, the ‘blogger pose’, as it has come to be known in the digital landscape, has given the everyday fashion follower the opportunity to adopt a centre-of-attention status in a culture of fashion commerce. Are You Ready To Remain Dazed & Confused? As publisher and director of Dazed Digital, Jefferson Hack oversees an editorial and media empire that now incorporates AnOther Magazine, Dazed Digital, AnOther Man, NOWNESS (funded by luxury conglomerate LVMH) as well as Dazed & Confused. On their website, Dazed Digital boasts global brands like Armani, Chanel, Nike, Swarovski and Dunhill as key clients. Given this, Dazed Digital is unequivocally embedded in the mainstream fashion system, making the political-sounding rhetoric and graphics of Hack’s latest offering We Can’t Do This Alone seem empty to say the least.